If you are looking to watch some fun competition, this is for you! 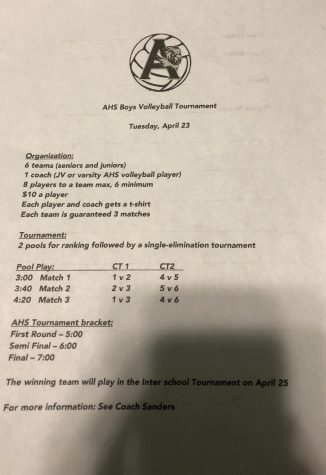 There will be a a boys volleyball tournament on Tuesday, April 23. There will be 6 teams and each team is guaranteed 3 matches and a single elimination tournament. All the guys are super excited to get to play and want you to come out and support them! Tyler Blackwell, who will be playing on Kaitlyn Blackwell’s team, says, “Volleyball is fun, but it’s more fun when you get to play with your guy friends. It’s a good competition and I’m ready to win this thing.” All the guys are excited to be able to do this and they all want to win. The winning team will play in the Inner school Tournament on April 25. 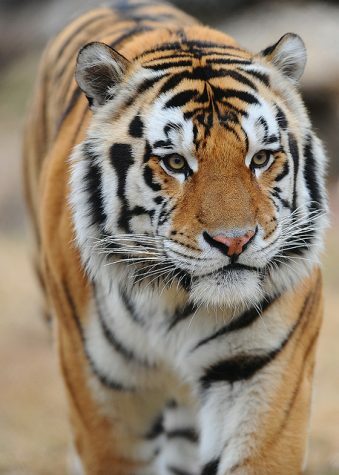 Senior, Landon Williams, says, “You boys better bring it, because my team is winning the whole thing, and we better have some fans there to see it.” So Tigers, come out and get ready to watch some good games with all your friends! See y’all on April 23 to cheer on the boys!